We arrived in our new (but not new) house that we will be renting. It is bigger than I would want but it is hard to find a whole house to rent for a decent price. The house is beautiful and has some lovely french and southern flare, as is common and endeared to in Louisiana. 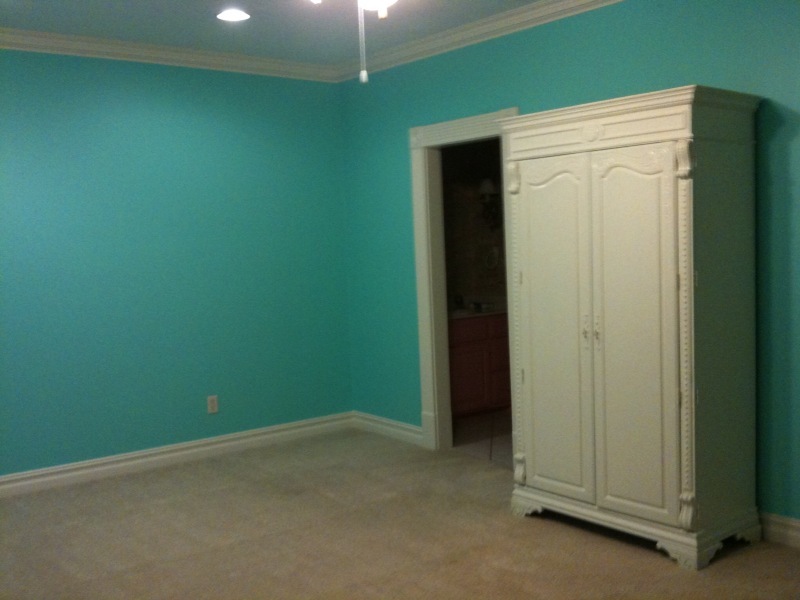 However, the previous owner chose some interesting colors for some of the rooms that I am left to work with. And since Gabby had the bigger room in NY, we thought Marco should have the bigger room here. The only problem is that the bigger room was previously meant for a girl and is a happy girly turquoise. 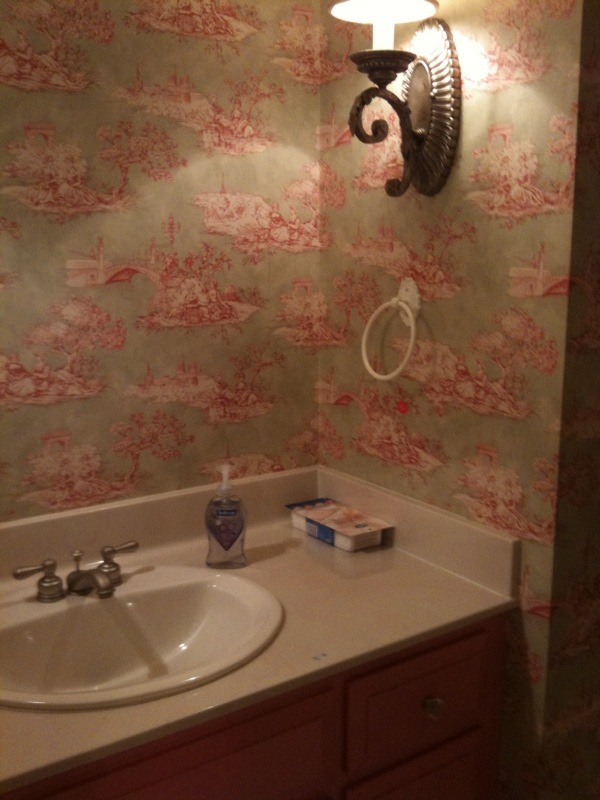 And the bathroom off it is a happy girly pink with a pink vanity, pink wall paper, pink shower curtain and crystal knobs. This bathroom joins the two girly bedrooms, the smaller on in happy green for Gabby and the larger one in happy turquoise for Marco, so Marco is screwed either way. nt tom boy at times, but no, he chooses Pinkalicious...twice. Besides the times that Gabby has chosen this pink book herself. Maybe he feels right at home surrounded by pink and cheerful turquoise. Anyway, I will boy up his room as much as possible and since i hate taking down wall paper (and this isn't our house) he'll have to get comfortable with his feminine, pinkalicous side while down south. Or my husband will just hang up posters of trucks, cars, hammers, footballs, dragons, pirates, and various blue collar, civil service workers to compensate for the softer floral influences up there.